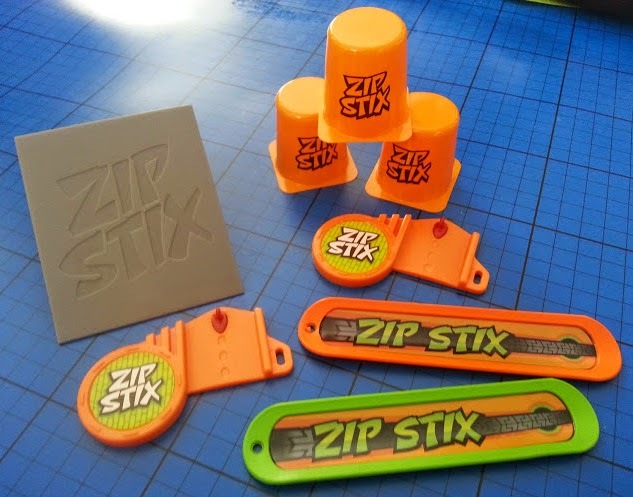 A little while back we were sent a pack of Zip Stix to play with and review. A new toy from Re:creation they're recommended for children aged 4+ and are set to be one of the most popular stockingfillers this Christmas. 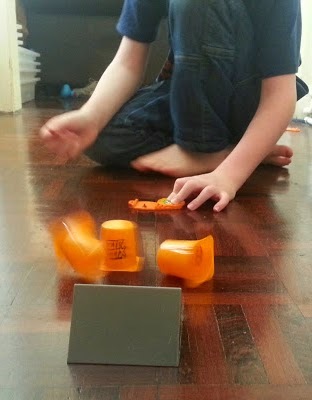 Our immediate experience was that our 4 year old just can't get the hang of them at all, but our 6 year old was the best in the house! 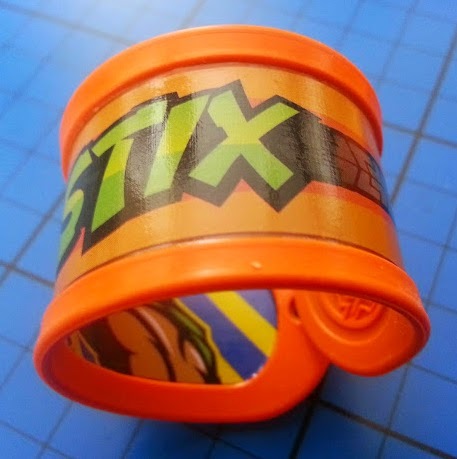 Zip Stix work very much like the wristbands children sometimes have which can be pulled straight and then as soon as you let them bend they curl up and 'snap' back into the circular shape they want to be. 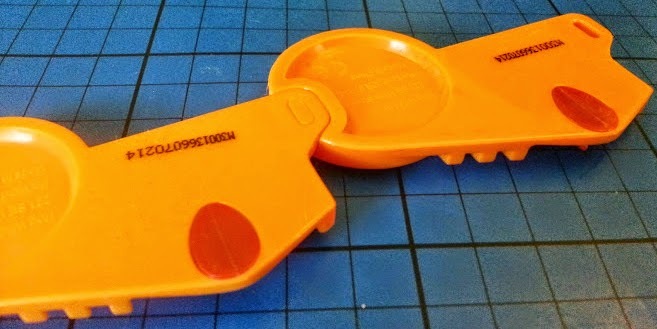 The launchers have a small red peg which holds the Zip Stix in place until you let go of the end when they'll curl up and the momentum from that sends them off at speed. It's virtually impossible to get an 'action shot', and believe me I've tried. They're really quite fast, however they are fairly soft and have rubber edges, so they don't hurt even with a direct hit. They do launch from the ramp and it's too quick really to see, so if you sit at the opposite end like I did to photograph, you do take a few face shots. The Zip Stix are fairly tough, but still light, so the cones have to be lightweight, and are in fact very much like fromage frais pots, and around the same size. I have them on my shopping list because my 6 year old has grand plans for a wall of 'cones' to smash through. 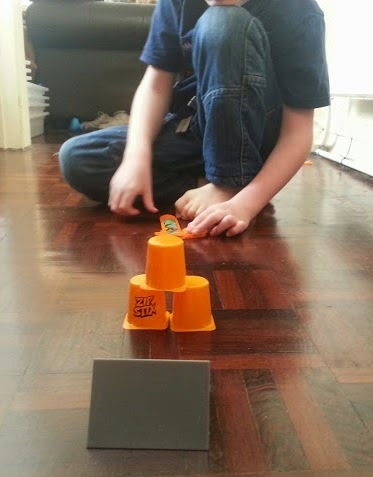 There is a lot of scope for creating all kinds of tracks and obstacles from things around the house, and really improving your aim. The 2 launchers can lock together for racing and competitive play, and I think our 6 year old enjoys challenging himself as much as competing with someone else. 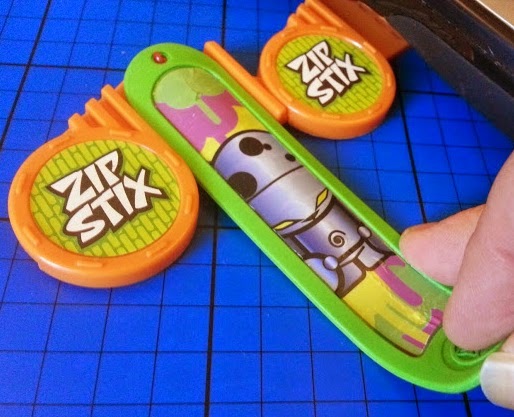 I think the main reason our 4 year old can't get the hang of Zip Stix is because they're very much right-handed. He's left-handed and so am I, and while I can hold the launcher still using the tiny locking hole at the right hand side, he doesn't have the finger strength, and he can't get the hang of launching with his right hand (nor can I really). 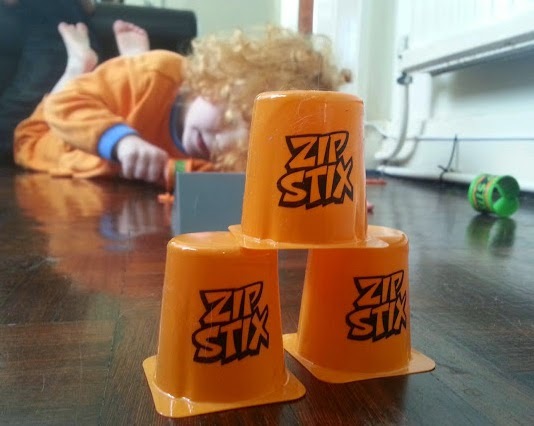 Overall Zip Stix are loads of fun, they're something we can all have a play with and they can be really quite competitive in a good way. 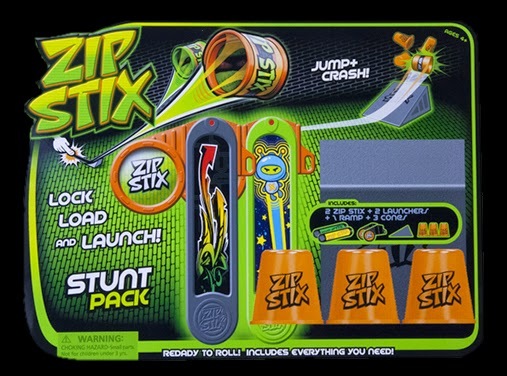 Zip Stix are not expensive, they start at around £5 for a twin pack of Stix and Launchers, and even Stunt Packs retail around £7-£15 with ramps and cones. Our set has an RRP of £7.99. They will make an excellent stockingfiller or small present and will definitely be incredibly popular this Christmas. 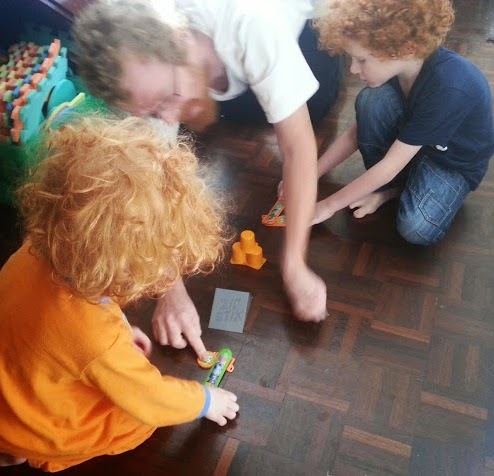 we love these too, and yes lots of looking under furniture but great fun! perfect for stocking fillers too. 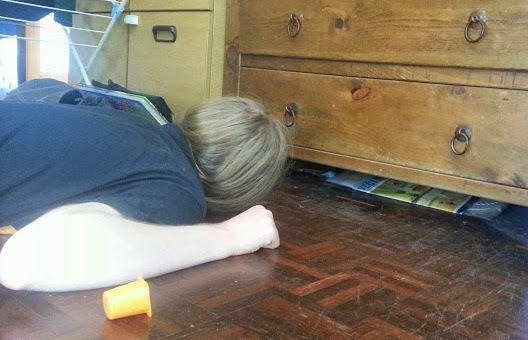 there was one particular cupboard and it was like there was an invisible magnet! :D Hahaha...we only have 1 cupboard in our hallway that it can get under and I'm sure it found it every other time! It took us ages to work out how to use these but now E loves them and they are constantly shooting all over the front room! 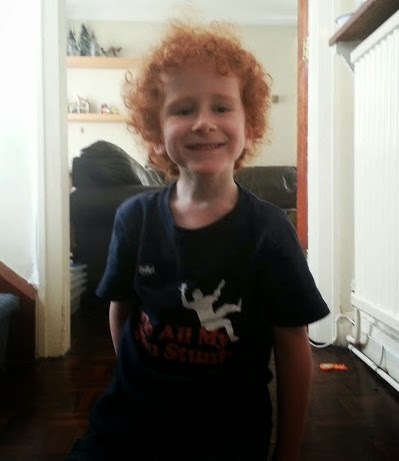 I'm still trying to teach our 4 year old - he's really struggling to get it (bless him). Not seen this before. They look fun!